We conducted field research on orangutans during rainy season between 6th and 10th December 2011 at Kuala Sungai Danum Research Station (KSDRS) in Danum Valley Conservation Area. 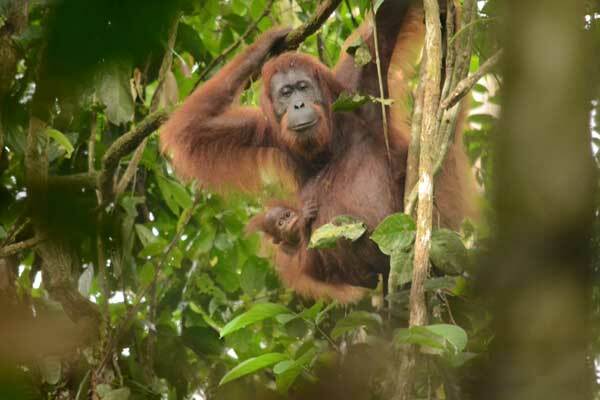 We could track and observe 2 resident orangutans, flanged male and mother with baby (photo) in 3 days. In addition, we collected broken automatic camera trap and did spring cleaning at the end of year.